How did is work? And how did it start? 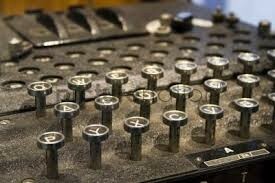 An enigma machine is a decoding system that figures out which letters means what. 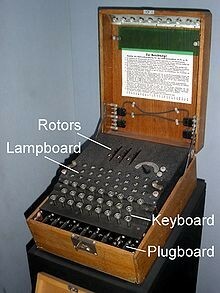 Enigma was invented by the German engineer Arthur Scherbius at the end of World War 1. They were used by lots of countries but mostly the Germans in World War 2. The polish CIpher first broke Germany's military Enigma ciphers in December 1932. Five weeks before the outbreak of World War 2. From 1938 onwards, additional complexity was repeatedly added to the machines, making the initial decryption techniques increasingly unsuccessful. 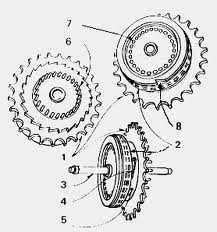 A labeled diagram of the machine. The rotors that change the letters. The keys you type with. How did the british figure it out? During the war, British codebreakers were able to decrypt a lot of messages that had been enciphered using the Enigma, codenamed 'Utlra' by the British. They used their machine to find out the Nazi's plans throughout the war. After the war Winston Churchill told the United Kingdom's King after World War II "It was thanks to Ultra that we won the war."